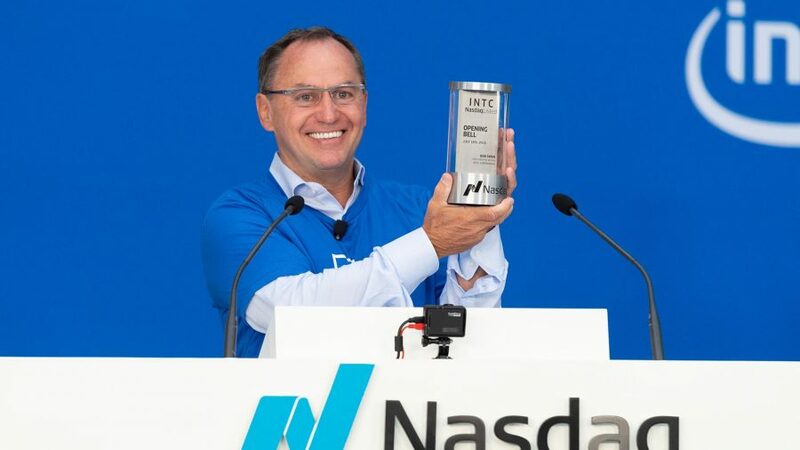 Intel has been scouring for potential candidates for its next chief executive officer – and taking its sweet time to do it. The ongoing search hasn’t yielded the next person to take the top job yet, but that might all change as the board has reportedly set a cut-off date for the hiring process: Intel’s Q4 earnings call on January 24. A company of Intel’s size and magnitude isn’t easy to steer at the best of times, and it’s facing some unseasonably turbulent waters. Whoever lands the CEO position needs to not only fit the role but also excel immediately to execute Intel’s sweeping roadmap and overarching vision. As you may imagine, finding the right person for the job is proving difficult. Analysts have already been critical of Intel’s six-month search so far, citing worries that large, slow-moving projects may be delayed by the lack of leadership. All in all that seems a little unfair to Bob Swan, Intel’s CFO and interim CEO, who has been piloting Intel through this rather dark period marred with supply issues. Nevertheless, he doesn’t want the top job, and the search can’t remain stagnant for much longer. Sources close to the hiring process told Bloomberg that, while Intel’s board has made some decisions and even attempted to offer the position, it still hasn’t found the perfect candidate. The sources say that so far there have been no positive responses to job offers, which may seem surprising in light of Activision’s new CFO receiving a $15 million gift basket, but there’s something about the mammoth laundry list of tasks that might put some potential candidates off the role. So what makes this position so daunting to candidates? And why is Intel struggling to find anyone to fill it? To answer these questions somewhat, we’ve put together a checklist of just some of the more pressing jobs the upcoming CEO incumbent will need to take care of – and fast. During his short tenure, Bob Swan was stuck in the unfortunate position of having to release a public letter explaining Intel’s measures to deal with a growing 14nm manufacturing capacity shortfall. And the next incumbent for the top job will need to steer Intel clear of this sticky situation, the likes of which might still be having an affect on Intel’s product stack. The 10nm process is slowly switching online, at least that’s what Intel wanted us to believe over at its Architecture Day. But the new CEO will need to ensure that, when Ice Lake processors launch later this year, Intel’s manufacturing capacity is ready to meet the launch demand. After all, some 10nm capacity had been reconfigured to aid in the 14nm deficit only recently. Over at the Architecture Day, Intel outlined a ‘strategic shift’ in its foundational engineering approach. Essentially, it would now focus on six new ‘pillars’ designed to help it achieve innovation and leadership – something that has arguably been slipping to peppy upstarts AMD as of late. The new building blocks are: process, architecture, memory, interconnect, security, and software. That’s a pretty wide remit, and the new CEO, whoever that may be, will need to coral the extensive talent pool over in Santa Clara – such as Raja Koduri, Murthy Renduchintala, and Jim Keller (not to mention all the engineers and VPs out of the public eye) – to hit these strategic goals and deliver. Equality is critical to both the hiring process and the CEO role itself. Intel committed to rapidly increasing equality and diversity in the workplace under Krzanich, and the new CEO will need to drive forward its aggressive equality goals to continue that important work. And there have been some diverse candidates for the Intel CEO role too, including Google’s Diane Bryant. Recently leaving her position at Google as COO, Bryant has also held top executive positions at Intel – including leading its data center group and as CIO. In its 2018 diversity report, Intel reports female representation is up 8.5% since 2015, URM (underrepresented minority) representation was up 17.7%, hispanic representative up 10.8%, african american representation up 31.4%, and native american representation up 40%. Whether you pronounce it ‘zee’ or ‘Xe‘, Intel’s CEO will be the one to see that this discrete graphics card’s launch goes off without a hitch. Intel’s no stranger to integrated graphics. But when it comes to add-in cards and discrete graphics products to match Nvidia and AMD, it hasn’t got the best track record. Its last attempt, Larrabee, never actually made it to the finish line. So Intel’s CEO will need to ensure that the building blocks from Gen11 graphics survive the transplant into a discrete product in 2020. That’s, at most, a little under two years more R&D time to get this tech packaged up and ready to go, and Intel Xe could be the most critical, high-profile launch that the newly-incumbant CEO will oversee in their first few years. One of the new technologies recently announced by Chipzilla is Foveros. 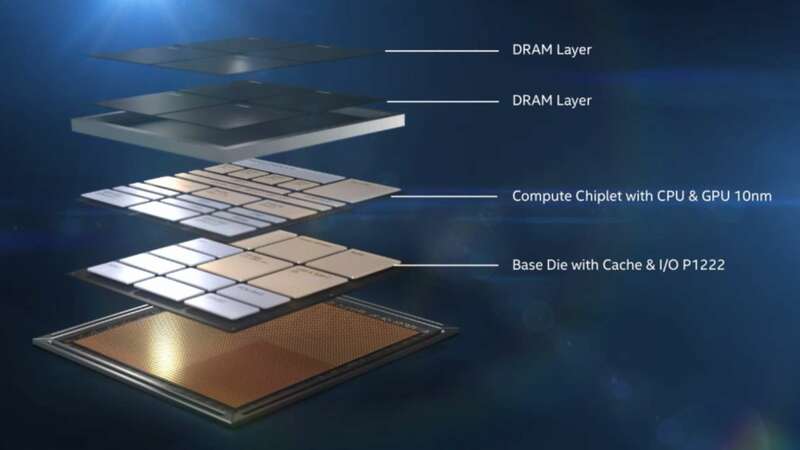 This 3D chip stacking technology is found in the innovative Lakefield SoC design, a miniscule 12mm2 chip that packs CPU, GPU, DRAM, and I/O, cache into a single package. The LITTLE.big design of the Lakefield chip allows it to offer processing power of a single Sunny Cove 10nm core and four smaller Atom cores for power-friendly, less-intensive operation. Intel is hoping to usher in a new era of computing with the initiative, and it will be up to the new CEO to find the right market for this potentially pivotal technology and take on the likes of ARM and Qualcomm for mobile, low-power dominance. Memory has often been a strange sideshow to Intel’s semiconductor business. After working on 3D XPoint memory for years with Micron, the latter is now purchasing Intel’s remaining share in the venture for $1.5 billion USD, and supposedly taking on Intel’s debt, valued at $1 billion, too. 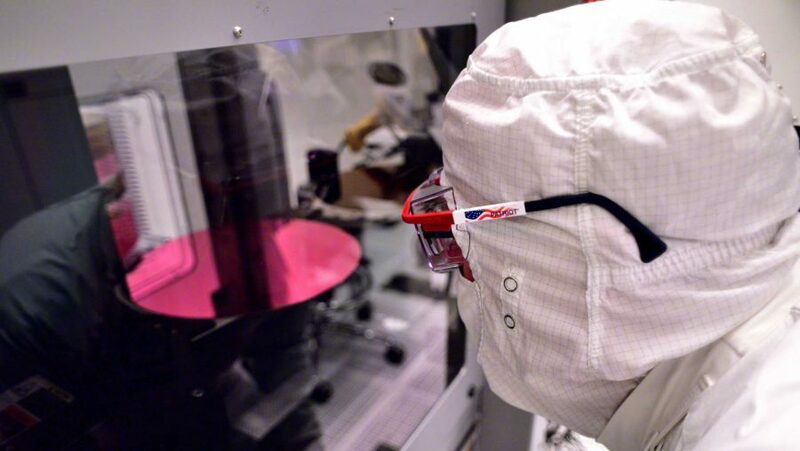 That leaves Intel with an urgent need for a wafer supply agreement with Micron if it intends on purchasing 3D XPoint memory beyond the year following the closure of the deal. Either that, or Intel will have to refocus memory production elsewhere or give up on the technology entirely. Intel touts its unique position to package memory and logic altogether on a single package with ease, so we may see Intel’s new leadership shift Intel’s gaze away from independent memory ventures and onto Optane and package memory that fits into its interconnected Foveros ecosystem. Intel’s CEO needs to make up for lost ground in the stock market. 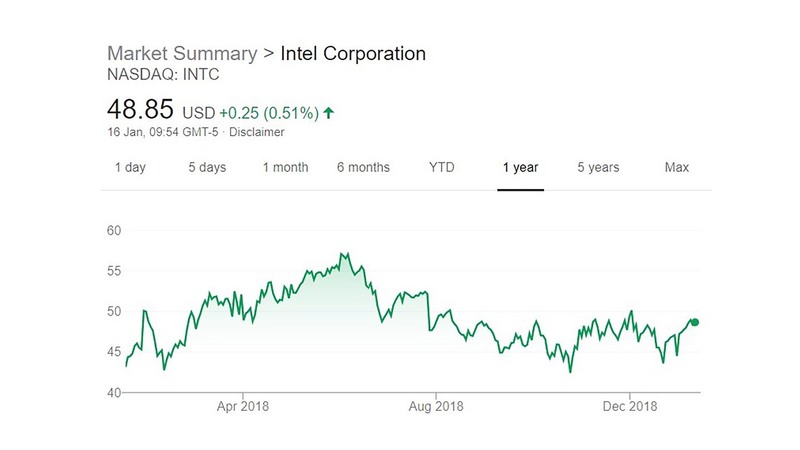 Sure, Intel has been posting record quarters year over year, but share price took a hit back in June 2018, and it’s only just starting to creep its way back up. 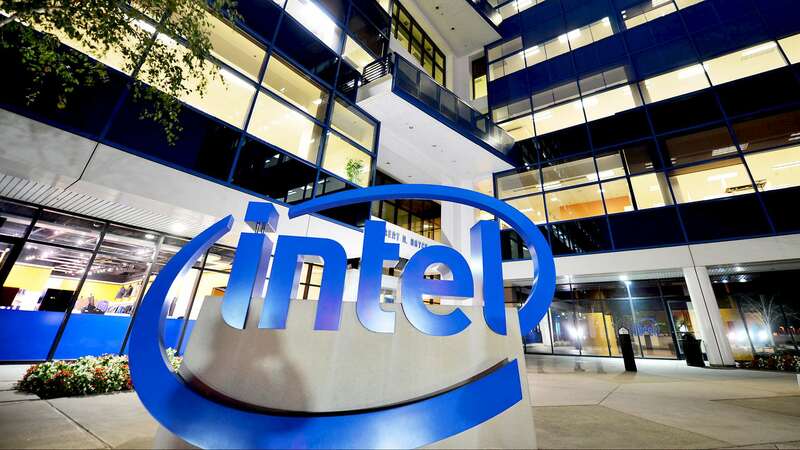 But, while the uncertainty surrounding Intel’s next CEO certainly doesn’t help the rather tepid aura surrounding Intel’s prospects in 2019, financial institutions still believe Intel is prime investment real estate. While according to one Citi Analyst Intel is expected to post a shortfall in revenue once the shortages end, it will continue to outperform in the near-term. But regardless of the ups and downs of whimsical Wall Street, it’s up to whoever gets the top job to convince shareholders Intel can continue to be a safe bet, and a profitable investment, over the course of the next few years at least. While competition is great for us gamers, Intel’s CEO needs to try and stamp it out post-haste. There’s a growing threat from favoured underdogs AMD in recent years, culminating in AMD Zen 2 and 3rd Gen Ryzen in 2019. Over at CES, Dr. Lisa Su demonstrated 3rd Gen Ryzen demolishing Intel’s Core i9 9900K with greater power efficiency. That’s not just bad news for Intel in the meantime, that’s a portent of things to come if Intel can’t keep up with the pace of change in the process node department. TSMC is relentlessly pursuing even denser process nodes, and Intel needs to match pace to maintain (or retake) manufacturing leadership and keep rival’s AMD at bay. Intel is reportedly looking for “non-traditional” candidates for the job, ostensibly those from outside the company. That might be because reports indicate Krzanich purged the company of all potential internal successors. Renduchintala reportedly was one internal candidate for the job, but has now been sidelined by the board. It has reportedly already ruled out Sanjay Jha, Anand Chandrasekher, and Renee James for the top job, too. Which leaves us with the external candidates. Aside from Diane Bryant from Alphabet, Johny Srouji, SVP of hardware technologies at Apple, has been given the candidacy nod from insider sources. At least once Intel does decide on Krzanich and Swan’s successor, there’s a lot of weight on the inaugurated CEO to stick around. Intel’s only had six CEOs since it was founded in 1968, the shortest tenure shared by inaugural CEO Robert Noyce and Y2K survivor Craig Barrett at roughly seven years a piece. Whoever gets the top job next could easily break a decade or more in the hot seat.